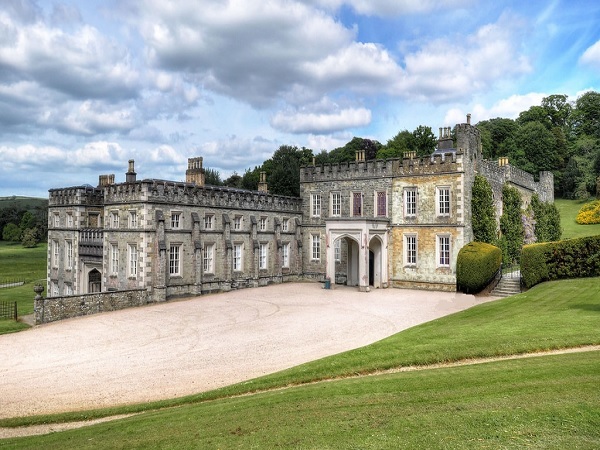 Tideford Lodge – Port Eliot Estate, St. Germans, Cornwall. Client : Port Eliot Estate. 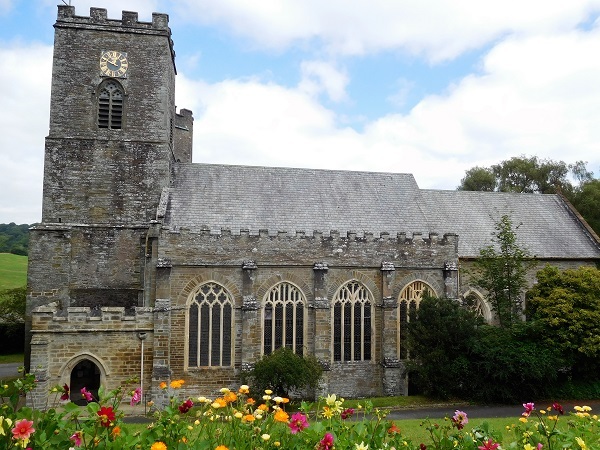 Port Eliot is the ancestral home to the Eliot family with the Earl of St. Germans in charge. The estate comprises of six thousand acres and the stately home within the grounds is Grade I listed by English Heritage along with it parks and gardens. It’s believed to be the oldest continually inhabited house in England with more than one thousand years of history. Originally built as a priory, sections of the house date back to the 12th century and was extensively remodelled and altered during the 17th and 18th centuries with one of its architects being Sir John Soane. The Eliot family invested heavily into the estate during the 18th and 19th centuries building many farmhouses, cottages and other dwellings which still form part of the estate to this day. The estate even has its own church. St. Germans Priory stands on the site of where a cathedral for Cornwall once stood. Built in the 12th century by the Normans the present building has more Norman masonry in its walls than any other church in Cornwall. 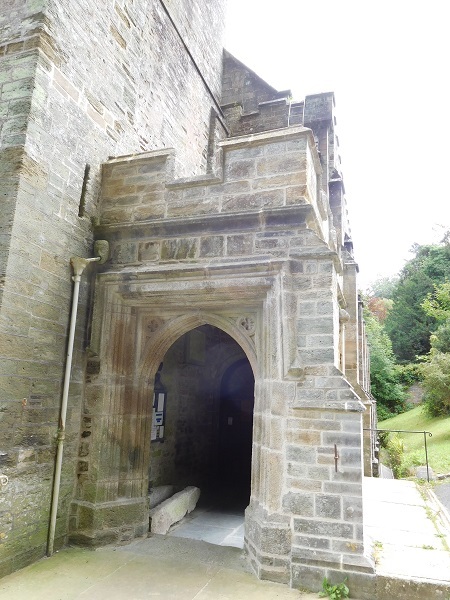 After the dissolution of the monasteries in 1539, it eventually fell into the hands of the Eliot family where many family members are interred. 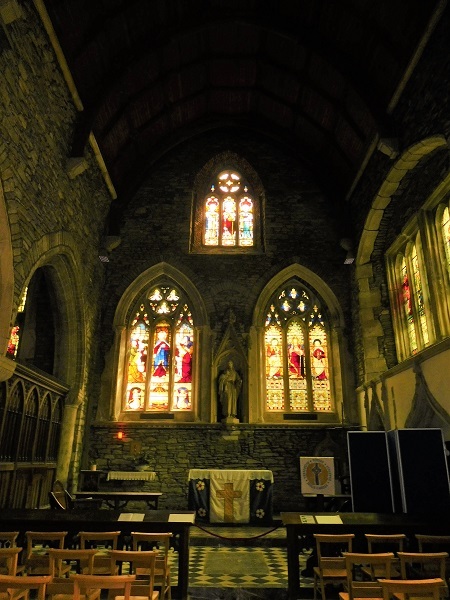 Today it’s owned by the Church of England, managed by the St. Germans Priory Trust and it’s an architectural gem! 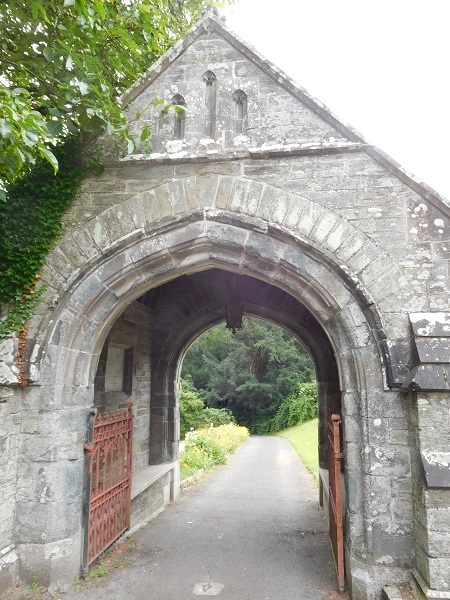 Walk through the covered entrance and down the path it will lead you up the front door of the priory. 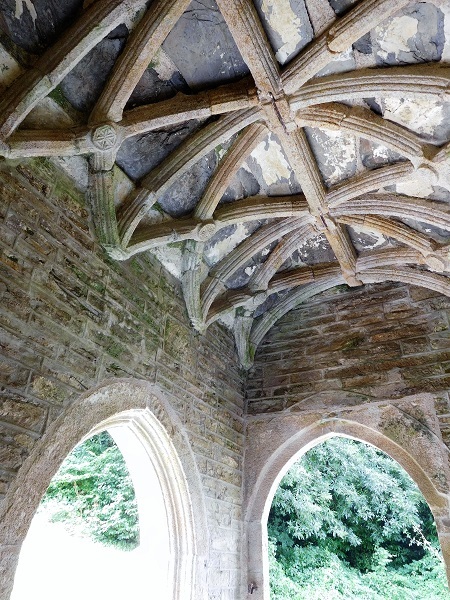 Step inside the door and look up you’ll see its quaint vaulted ceiling. 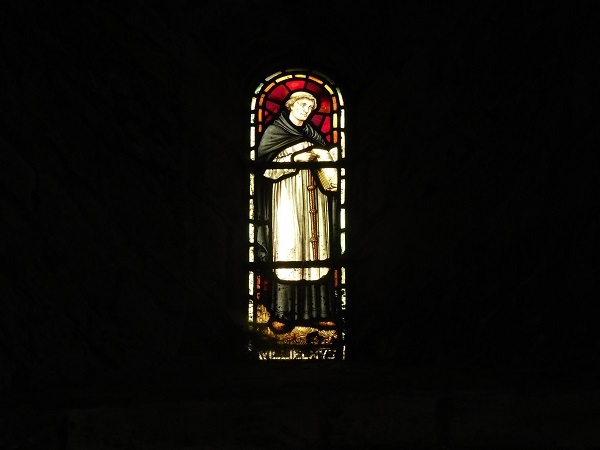 Inside the priory itself you get to see some wonderful examples of stained glass. 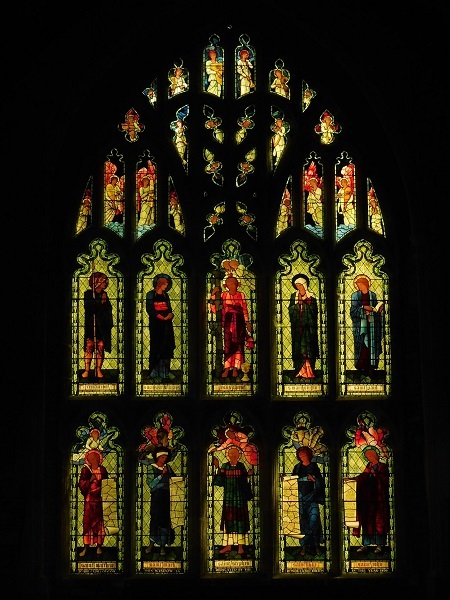 Some of which are by the renowned Victorian artist Sir Edward Burne-Jones. 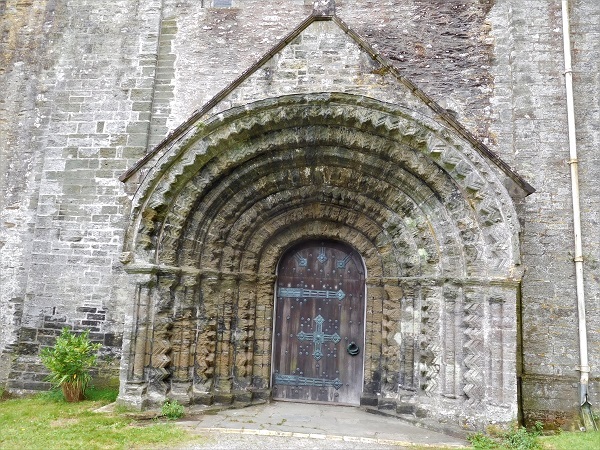 Outside on the West elevation you’ll find a large ornate arched doorway constructed by the Normans. 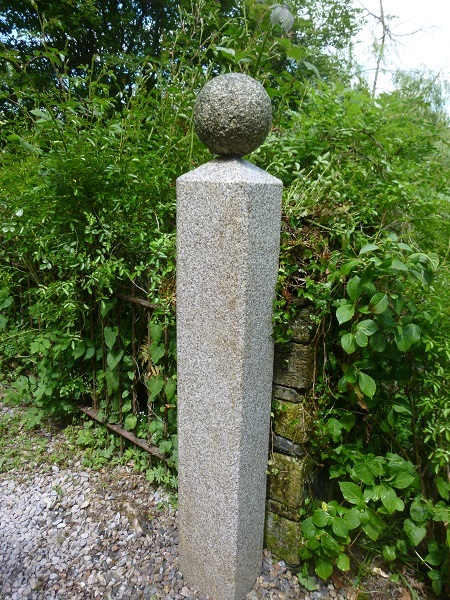 Carved from ‘elvan’, a local name for a native variety of quartz-porphyry in Devon and Cornwall, this stone was quarried from Landrake a few miles away. Also known as ‘greenstone’ it makes a fine building material especially for carving the parts of buildings like heavily ornate doorways such as this. 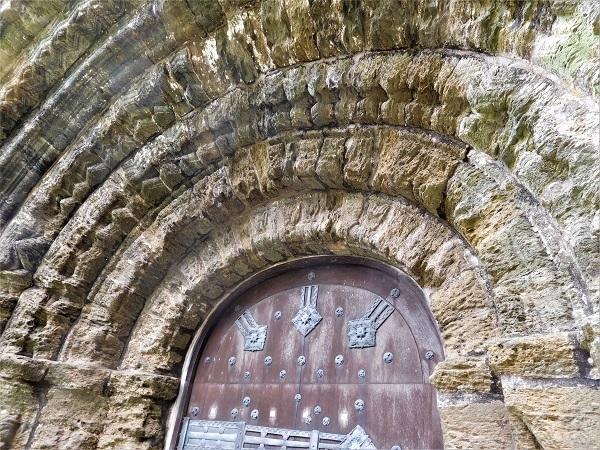 The Norman arch is a defining point of Norman architecture. Grand archways were designed to evoke feelings of awe and are commonly seen as the entrances to large religious buildings such as cathedrals. 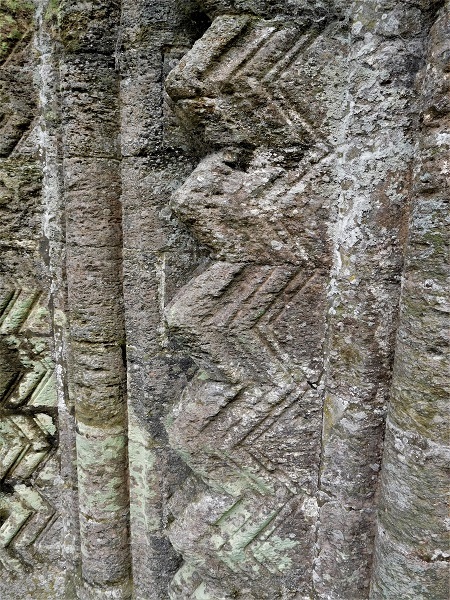 Typical in their style they very often have geometric patterns such as chevrons carved into the stonework. 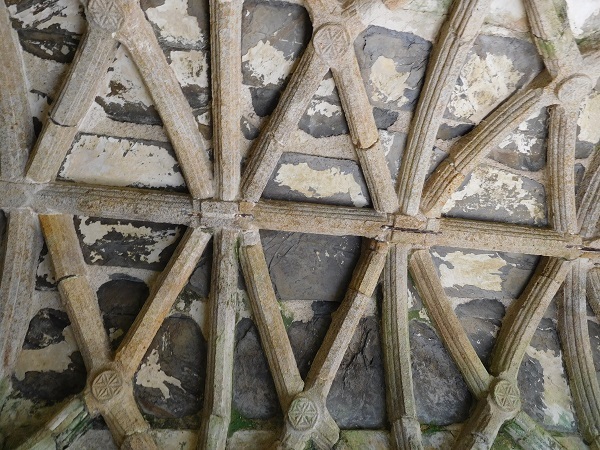 These patterns are also known as ‘Zig-Zag’ mouldings. 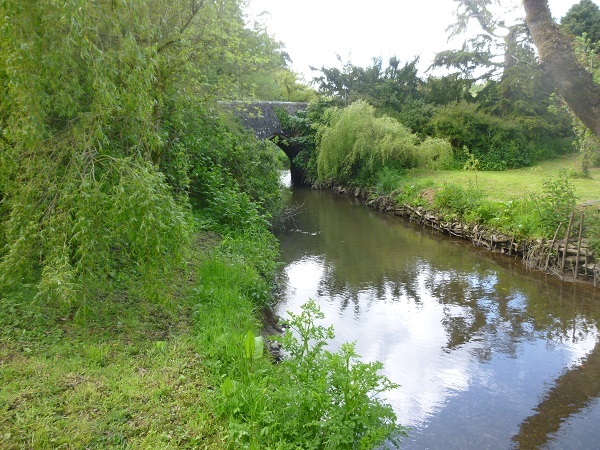 There are a few entrances that lead onto the Port Eliot estate and one of them is Tideford Lodge, the Northern entrance which is situated in the village of Tideford. The village also forms part of the estate and the lodge is Grade II listed. 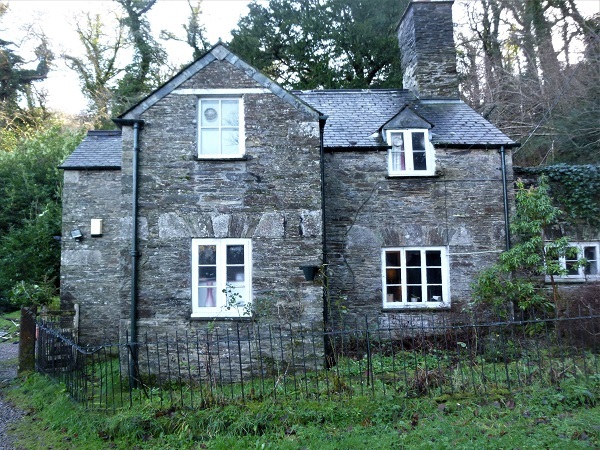 Situated next the river Tiddy, the lodge was built in the mid 1800’s. 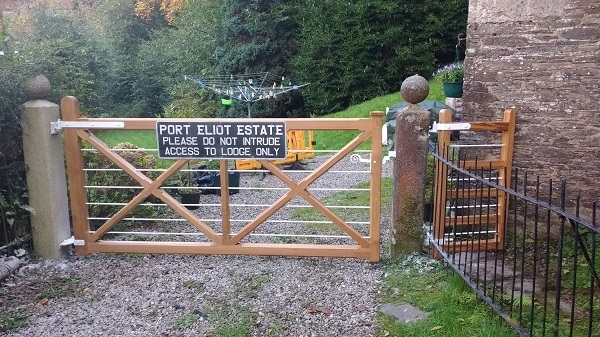 We were contacted by the land agents of the estate to take a look at the entrance to the lodge. 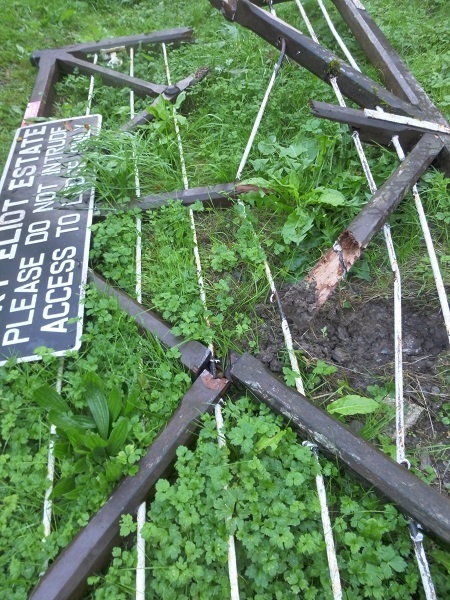 A vehicle impact had demolished a granite gate post ruining the gate in the process. 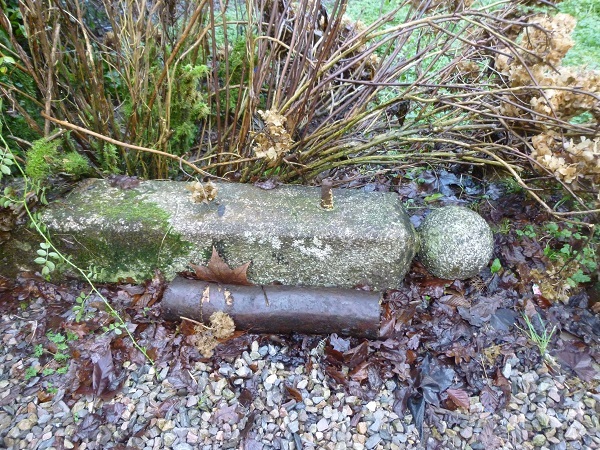 Once on site we found the granite gate post lying on the side of the driveway. 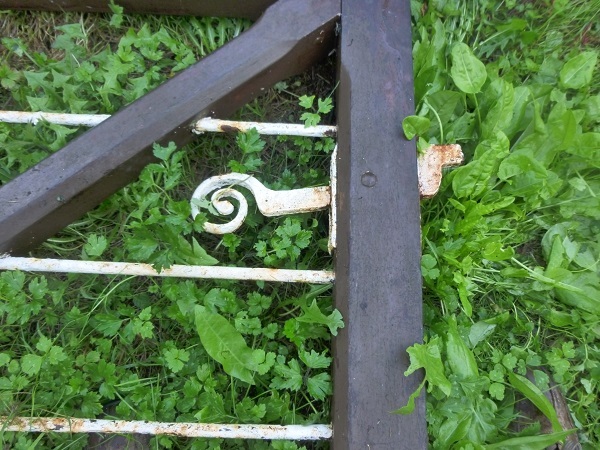 It had been broken away completely at its base and the gate lay on the opposite side of the driveway. 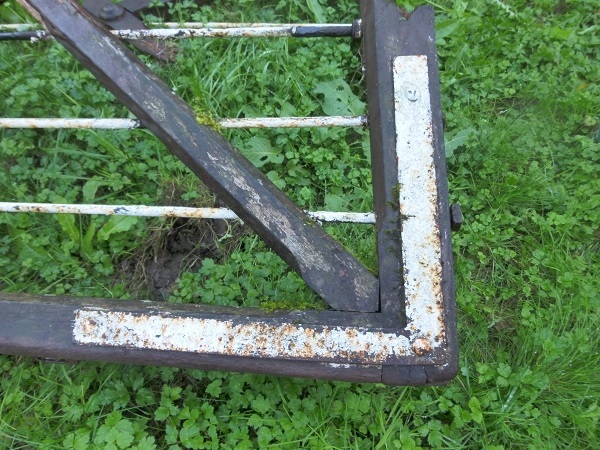 First thing we had to do was take a photographic record of the gate to record where all the original gate furniture such as latches, corner braces, hinges etc were placed. Also to record the detailing of the oak timber along with the steel bars that ran though it. 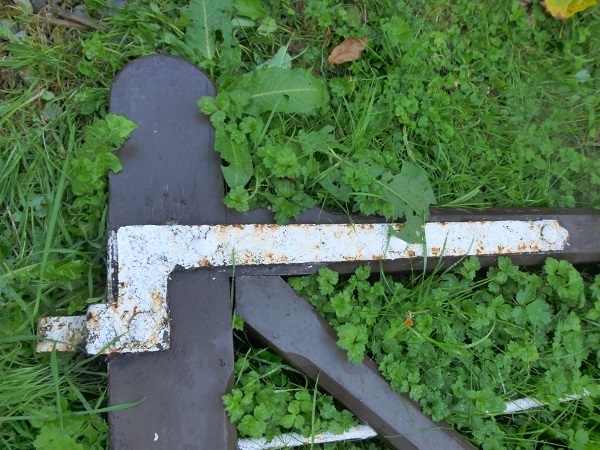 The damaged gate was then collected from site and taken away to be remade from scratch. This task was carried out by Penquite Construction. 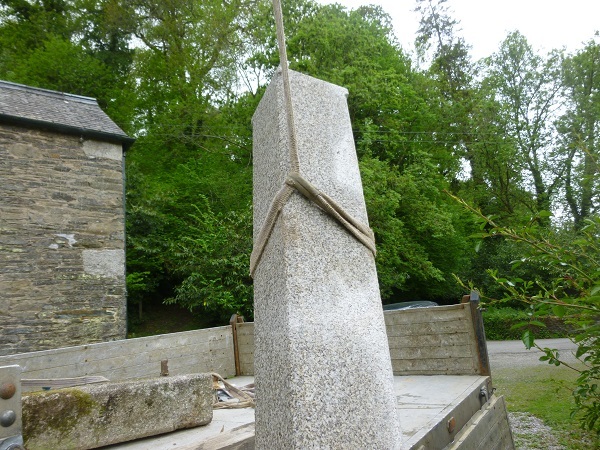 In the mean time we sourced a piece of Cornish granite and set about shaping a new gate post to match the existing profiles of the original. Once this was complete we got the new post on site ready for installation. 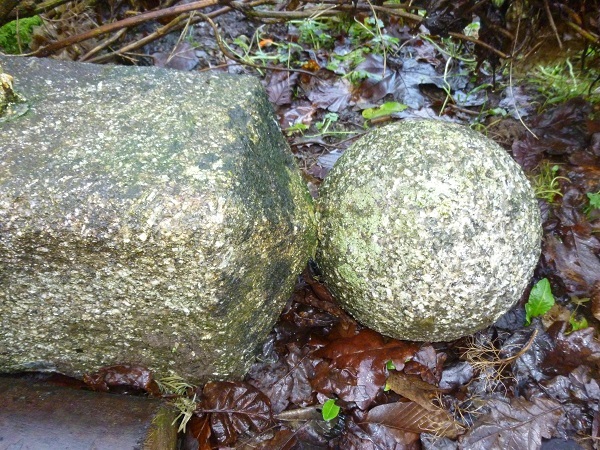 The original post had a granite ball fixed on top. 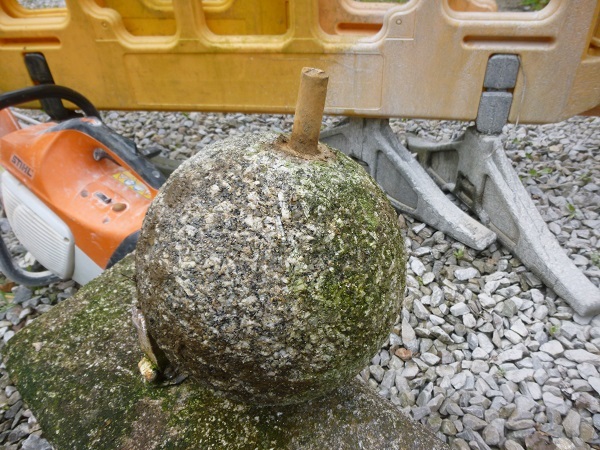 Luckily this had not been damaged during the impact and it was carefully removed so it could be re-used on the new post. 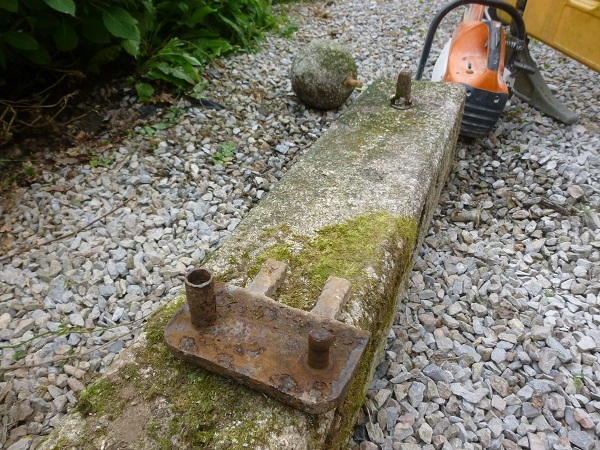 We also removed the hinge plate from the base of the post and this was going to be re-used and set into the new post. 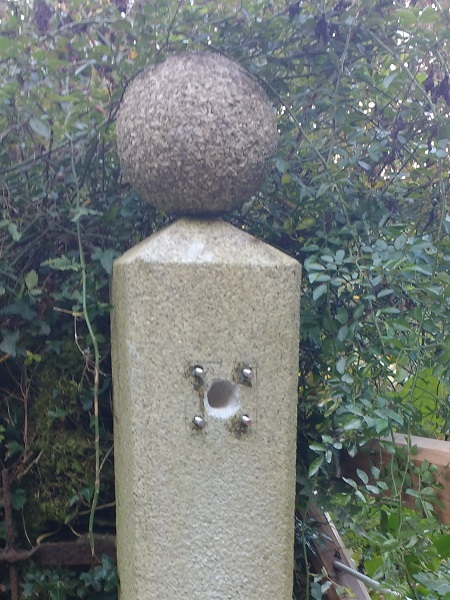 The new post was set into position with concrete. 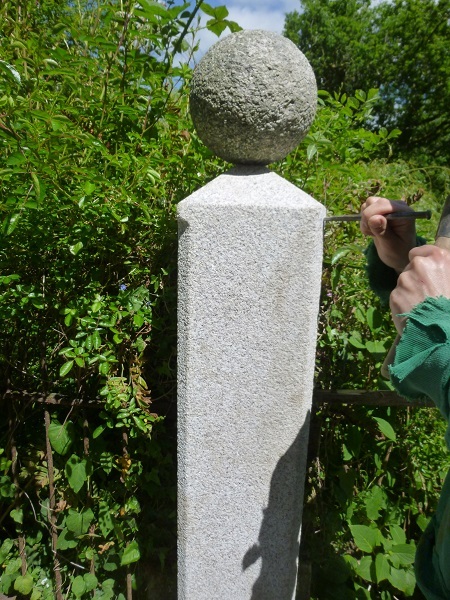 The original ball was fixed back into place and the top of the post had some final dressing carried out to tidy it up. Being granite tungsten chisels were used to do this. 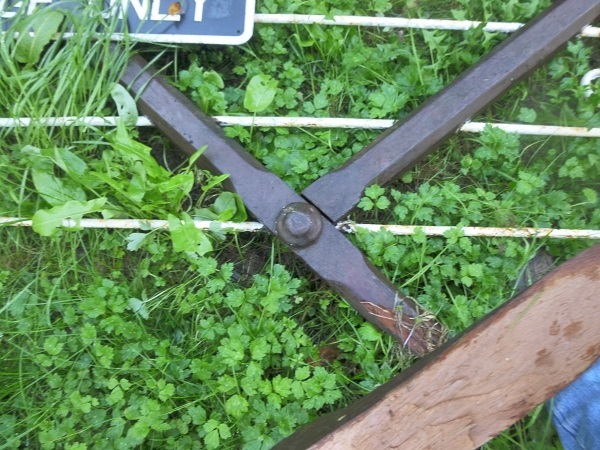 It was now ready for the new gate. 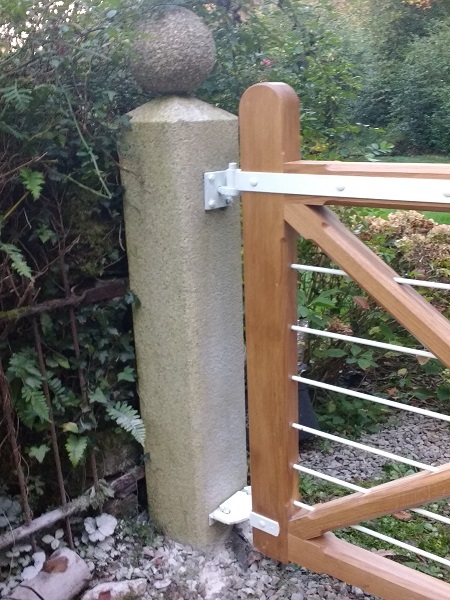 When the gate arrived it was time to set in the fixings into the granite to take the gate itself. The gate was then hung into position. Apart from the bars that ran through the gate, all the original gate furniture taken from the old gate had been cleaned up and refurbished. 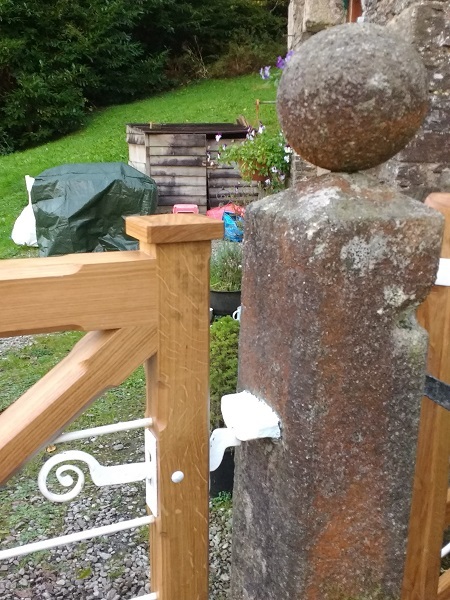 They were primed and given a new coat of paint and re-used on the new oak gate. The original signage was fixed to the gate and a new side gate was also made as the old one had basically rotted away and was beyond repair. 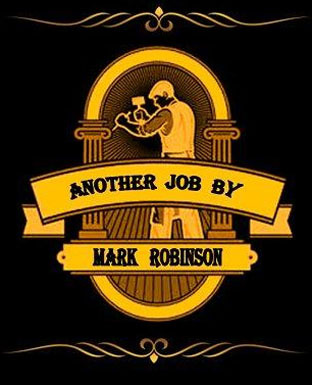 It also finished off the job.